TORONTO, November 28, 2018 – Canadian Space Agency astronaut David Saint-Jacques is launching to the ISS on Dec. 3, and soon after his arrival, some important research from York University Professor Laurence Harris will begin. This effort could one day help research in the areas of Parkinson’s disease, stroke recovery, damaged organs, aging and remote robots used for surgery. Canadian Space Agency astronaut David Saint-Jacques is performing York University's virtual reality experiment before his Dec. 3, 2018 space mission. Harris is leading a virtual reality experiment, some equipment for which recently travelled to the International Space Station (ISS) on NASA’s Northrop Grumman’s commercial resupply mission. While Harris will remain on earth, his research will investigate the effects of microgravity on astronauts’ perception of their motion. The experiment is a collaboration with the Canadian Space Agency. It is aptly named VECTION, which is the feeling that you are in motion caused by seeing the visual scene moving, even while you are immobile. The VECTION research team is led by Professor Harris, and including Professors Michael Jenkin and Robert Allison from the Department of Electrical Engineering and Computer Science in York’s Lassonde School of Engineering, as well as postdoctoral student Nils Bury and graduate student Meaghan McManus. They want to learn how visual information creates the feeling of self-motion in weightlessness. They also want to examine whether astronauts' perception of their surroundings is affected by weightlessness and create a model of how space impacts the way we process visual information. Their experiment may also enhance medical research focused on finding potential treatments for diseases, enhancing medical procedures and improving the quality of life for people who are sick. 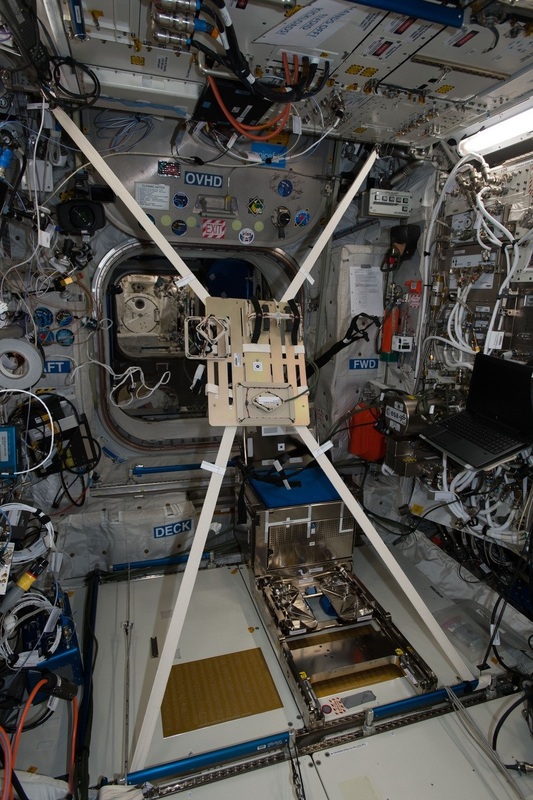 The experiments will take place aboard the ISS and will be supported by control experiments conducted on earth at York. Saint-Jacques will be the first crew member to take part in the experiment. While in space, each astronaut will do three virtual reality tasks focused on three areas of study – the perception of orientation after accelerating motion, the perception of self-motion, and the perception of distance. 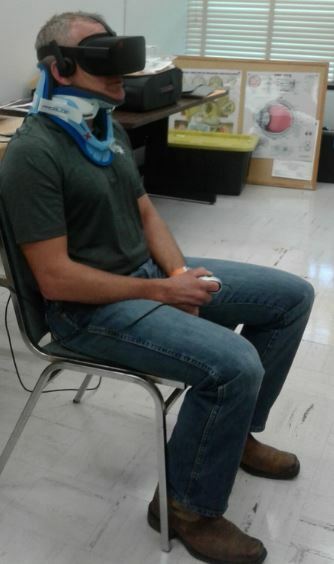 Each experiment will involve the astronauts being lightly held in a restraint system to stop them drifting into the walls of the ISS while wearing a virtual reality head mounted display (HMD), ear plugs, and a neck brace to keep their head steady. The HMD will be attached to a laptop computer by means of a cable and they will indicate what they perceive using a finger mouse. Harris and his team need results from seven astronauts which will take two to three years to collect. The team will then analyze their findings to answer the important questions about the effects of space on perception that are being asked by the VECTION space mission.